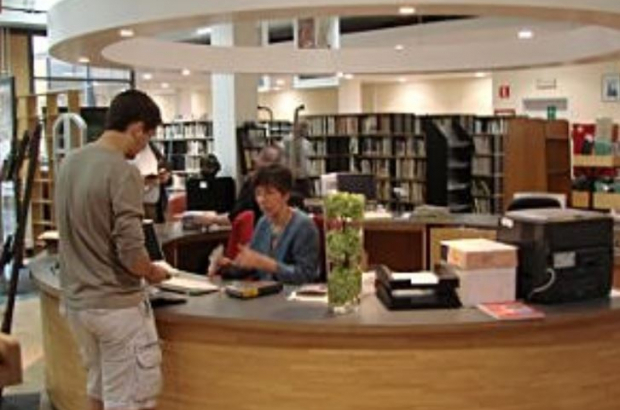 French-language libraries in Brussels and Wallonia are to stop lending CDs and DVDs - because falling demand means the service is no longer viable. The loss-making médiathèques will start being phased out from July, when the Wallonia-Brussels Federation will stop buying new titles, and are expected to all close by 2020. No job losses are planned, as a "culture point" will remain in each library, with a broader goal of promoting culture through debates, workshops, screenings and exhibitions. Pierre Hemptinne, director of culture in the French-speaking library service, said the media lending service could not be allowed to carry on losing money. "Since 2000 we have been losing about 15% of our attendance and revenue each year," he said. "We lent eight million items in 2000. Today we are at a few hundred thousand a year." He added: "There is a digital tidal wave in the way people access culture. We cannot do anything about that - we have no control over it. "We tried to adjust our prices, but there is nothing we can do. Young people just aren't coming any more. "When you see the workload involved in terms of feeding the database, there comes a point when you have a problem with using public money." Belgium's French-language community will still keep its vast centralised audiovisual collection. Each library will have an online catalogue making it possible for users to reserve a title from the central database. "To say that everything can now be found on the internet is not quite true," Hemptinne added. "There are some specific items that cannot be found online but that we have in our collections."